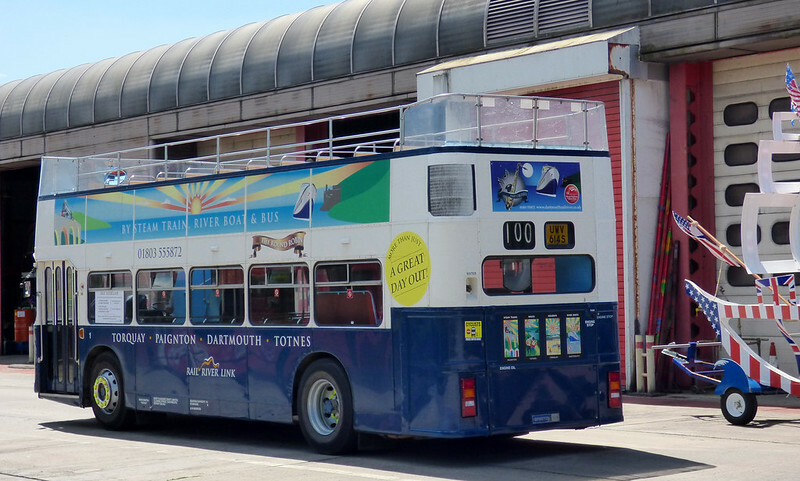 PCTPG are this month pleased to announce another new arrival in this expanding collection of buses and coaches local to Plymouth, Devon and Cornwall. Fresh out of service with its most recent operator Rail Riverlink group member Steve Salter has secured convertible open top Bristol VR UWV614S which will be arriving at our Colebrook Base shortly. UWV614S was new to Southdown in 1978 NBC era days one of a large fleet of convertible open tops delivered in that year to NBC subsidiaries along the South coast. 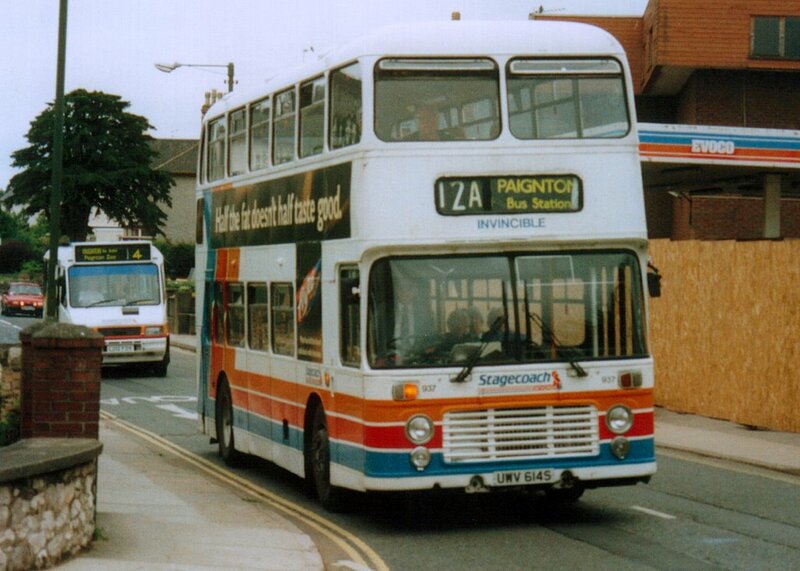 It and several sisters passed into Stagecoach ownership and we're transferred to Devon General as replacements for VDV/S convertible open toppers that DG under Transit Holdings ownership had sold to EYMS. 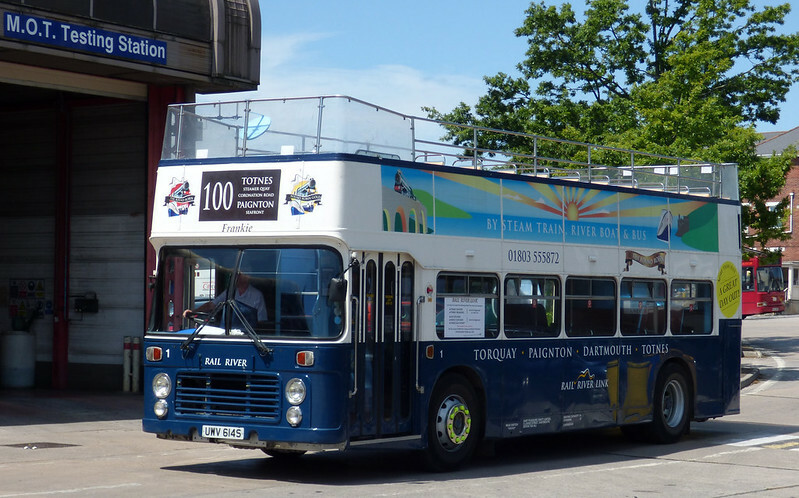 They were replaced by convertible open top Scania and UWV614S was snapped up by Riverlink for use on its 100 service and open top routes too where it has survived until the end of the 2016 summer season the last season of Bristol VR operation. UWV614S will make appearances across the region in the 2017 rally season. Not so sure about that as although VDV 138S has a local registration, it spent a few years away and so only notched up 15 years or so. UWV has served Torbay for 19 years. In any case, I understand 138 has also been sold for preservation.